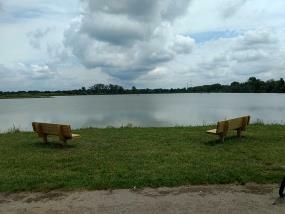 This 53 acre lake stretches for nearly a half mile along the north side of the Tallgrass Trail, just east of Herr Road. Averaging 5 or 6 feet deep, but ranging from 1 to 15 feet deep, the lake contains about 9 million gallons of water. The lake can be used during daylight hours for fishing and non-motorized boating. The park closes at dark. Hiking: An 0.8 mile loop trail, paired with 0.5 miles of the paved Tallgrass Trail, allows for a 1.3 mile hike around the lake. The eastern and northeastern portions of the trail, which sometimes flood after heavy rains, are the original gravel road that the city of Marion built years ago. On the north side is a stretch of looser gravel, followed by an accessible crushed stone path that completes the journey around the northwest and west sides of the lake. When the Marion Airfoils are flying their radio-controlled hobby aircraft, they close the northern portion of the trail with chains to protect trail users. Dogs are permitted, but must be on a leash and owners must carry out all waste. Wildlife: The lake is home to an active colony of beavers, which are best seen at sunset or sunrise. Bald eagles frequent the area, often sitting in tall trees overlooking the lake and nearby wildlife area. Trumpeter swans and tundra swans often visit the lake, as do Canada Geese and many species of migratory waterfowl. Alert visitors may spot a fox, deer, mink, muskrat, or coyote, and owls and other birds of prey are often seen. 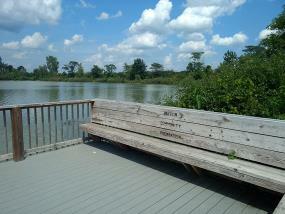 Fishing: Fishing is allowed only during daylight hours, and anyone 16 or older must have an Ohio fishing license. The observation deck is off limits for fishing, except for people who need a handicap-accessible fishing location. Specialists from the Ohio Division of Wildlife assessed the lake in 2017 and found a healthy and varied population of fish, including largemouth and smallmouth bass, white/black Crappie, pan sunfish, channel catfish and carp. The park district does not require catch and release. Fishermen must leave the area at least as clean as they found it, and may not drive on the trail around the lake. Swimming and wading are prohibited. Boating: Only non-motorized watercraft, such as canoes and kayaks, are permitted on the lake, and the lake is only open during daylight hours. 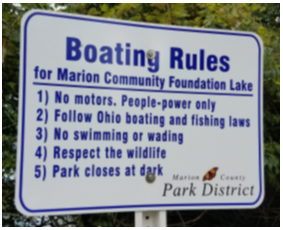 Watercraft must be licensed in the state of Ohio, and must be small enough that boaters can get the watercraft from the parking area to the water without driving on the walking trail, which is off limits to motor vehicles. Guests may not swim or wade. Paddleboats and paddleboards are permitted, but inner tubes are not. Boats are not available for rental. Parking: In addition to the paved 45 car parking lot at the Holland Road trailhead, located about 1/2 mile from the lake, there is an 11 car crushed stone parking lot at the northwest corner of the lake, This parking lot can be accessed from Herr Road, between SR 95 and SR 309. An ADA-accessible parking space is included, and there is a crushed stone walking trail from the parking lot to the trail around the lake. Guests may not drive or park on the crushed stone walking trail or along the paved Tallgrass Trail. Marion Airfoils: This radio-controlled aircraft flying club maintains several acres on the north side of the property, across the lake from the Tallgrass Trail. They have grass runways for their planes, and have an annual open house in August. When they are flying, visitors must stay off the path in front of the flying field. The Airfoils members will provide notice of this closure by blocking the path with chains. The Airfoils group has a Facebook page and welcomes new members. 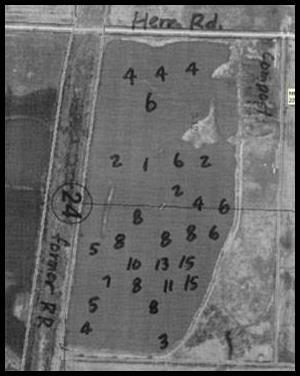 History: Originally an 83 acre farm field, the land was purchased by the city of Marion and used as a source of soil to cover the now closed Marion City Landfill. The city constructed a stone road around the excavated area and into the landfill. After the landfill closed, the excavated area filled with water and nature began to reclaim the area, forming the beautiful lake that we see today. With permission from the city, the Marion Airfoils developed a radio controlled hobby aircraft flying area on the north side of the lake, and Park Enterprises built a leaf and yard waste composting facility near Herr Road at the northwest corner of the property. Park later moved their composting facility to Barks Rd. When the Harding Freshman Building on Church St was torn down, the debris from this building was piled on the northeast corner of the site and covered with dirt, and now forms a hill overlooking the lake. 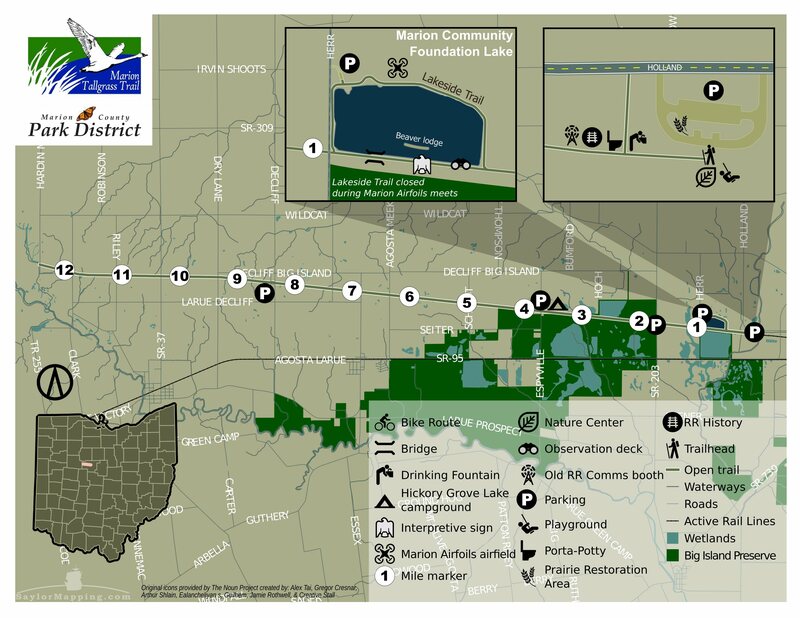 After obtaining water samples showing that the lake was free of contamination, the Marion County Park District entered into negotiations with the city to purchase the land, culminating in a purchase in July, 2014 for $40,000. A $60,000 grant from the Clean Ohio Green Space Fund helped with the acquisition and provision of access to the property. Stevens Construction built a 16 x 19 foot deck overlooking the lake in 2015. A crushed stone walking trail was built by Crabtree Enterprises of Marion in 2016, and an ADA accessible crushed stone parking lot was added in early 2018. 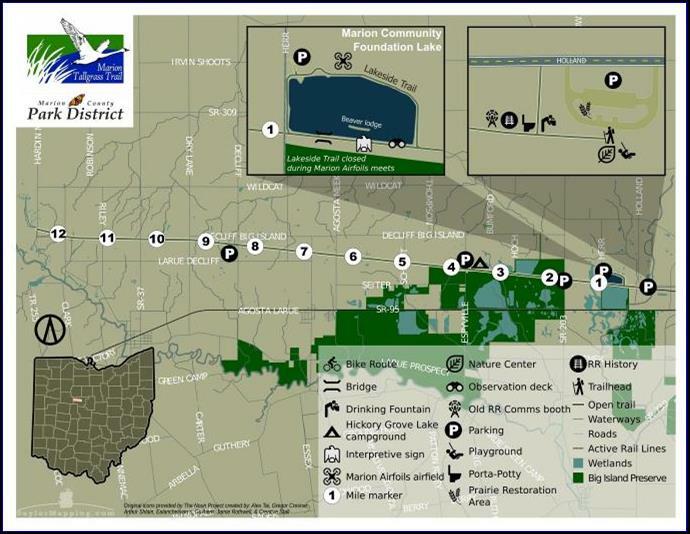 In 2016 the park district honored the generous donors of the Marion Community Foundation by naming the lake Marion Community Foundation Lake.